When I tell people who are the same age as me that I lift heavy weights, the inevitable exclamation is, “You’d better be careful you don’t hurt yourself.” Sometimes the person is genuinely concerned but sometimes it comes across as an admonishment. Can this 60-year old man hurt himself lifting weights? Sure, but I can get hurt in a thousand different ways if I’m not careful. If I follow the plan and allow my body to recover well, I should be fine. Most people I talk to who don’t strength train assume that it’s a dangerous sport to be involved in at 60 years old. They may have a point. Lowering 190 pounds to your chest and then trying to lift it off might be a problem if your body hasn’t been adapted to do it. However, is it more dangerous than eating that insulin spiking red velvet cake when you’re already prediabetic? I don’t think so. Considering the epidemics of obesity, diabetes, and cardiovascular disease in our country, I think that not strength training is a dangerous thing to do. In this post, I’ll highlight three of the most important factors I’ve used that have helped me stay injury free during my strength training endeavors. The first two are relatively easy to implement. The third is the most important and involves the concept of proper recovery. Since proper recovery is the key to avoiding injury, I’ll focus a little more attention there. Rule number one is to stay within your limits. I’m 60 years old, not 30. I don’t need to impress anyone with my weight totals. My lifting goal is to get stronger and build muscle. Would I like to look like my 25-year-old cousin who is ripped? Yeah, of course. But those days are past. I’m never going to build muscle like a young guy. I know who I am and where I want to go. My second rule is to follow my lifting routine exactly. First, I have a defined plan (see below) that I don’t deviate from. I’m 7.5 pounds away from a 300-pound deadlift. I could attempt 300 now and get a big psychological boost if I make it. But I won’t attempt it until my plan allows me. I want my body to adapt accordingly. Adaptation takes time, and I’m in no rush. I’m getting stronger, and that’s what counts. Every experienced strength expert will tell you that you can’t lift weights successfully if you don’t recover successfully. If you don’t recover well, you will get hurt! Proper recovery is doubly important for individuals over 45. We simply don’t heal from physical stress as well as the younger generation. Also, individuals who choose to strength train when healing from a chronic illness (in my case, chronic fatigue syndrome) have to be extra diligent in paying attention to recovery time. Our bodies have already undergone significant stress. Adding more stress from heavy weights without proper management of the recovery process can weaken our bodies significantly rather than making them stronger. Let’s take a look at why recovery is so important. Successful strength training is measured by increased muscle mass and strength. In order to achieve this, you must place a physical stress on your body such as lifting a heavy weight. Additionally, this weight must be heavy enough to disrupt your muscle’s homeostasis. Lifting a fork full of cake to your mouth is not going to build a strong bicep. After a heavy enough stress is applied to your muscles, your body reacts to it by repairing the damage done to the muscle. 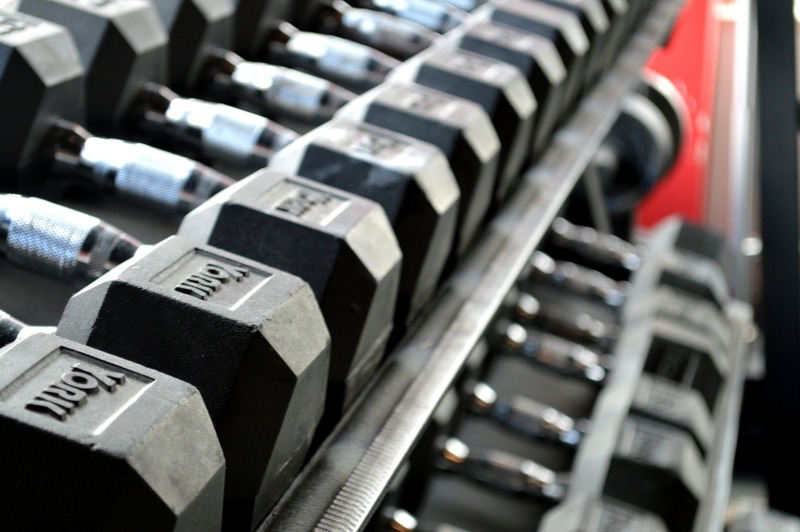 Basically, lifting weights produces an inflammatory reaction in your body. As you continue to train, your body responds by equipping itself with the tools necessary to survive the continued stress of lifting weights. This includes hormonal adaptations, nervous system adaptations, and increases in structural and metabolic proteins. These adaptations allow your body to become more efficient to handle the same stress in the future. Strength and performance are thereby enhanced. However, this will occur only if you haven’t overwhelmed your body’s ability to adapt. In other words, you have to allow your body time to properly recover from a weightlifting session. Dr. Hans Selye first identified this concept of stress-recovery adaptation in 1936. He explained it in the General Adaptation Syndrome (GAS). Selye proposed that adaptation to a stress generally happens within the first 48 hours of the initial stress. This means that muscle repair and growth starts shortly after you finish lifting. This is why strength training professionals recommend against exercising major muscle groups two days in a row. Your muscles must have at least 48 hours to repair and grow. Selye also pointed out that if your body cannot adequately recover from a stressor, it can enter what is known as an exhaustion phase. In weightlifting, this is known as training overload. It’s a serious condition that takes on many of the characteristics of chronic stress. As you can see, these are serious side effects. They are also found in individuals who suffer from conditions associated with chronic stress such as severe depression, CFS, and adrenal fatigue. Those of us weight lifters know it’s serious business. We realize that as we lift heavy weights day after day, year after year, we are doing insult to our muscles. Yes, that can be a dangerous thing if not done right! But we also know that the insult can be healed, and when healed, our muscles are the better for it. That’s why lifting heavy weights doesn’t worry me. The important thing is learning how to provide your body the help it needs to recover properly so it can adapt to increasing stress. The following steps are necessary to achieve proper recovery. After each step, I will include how I modified it to fit my personal circumstances. means that you shouldn’t train the same muscle group within 48 hours. While this is standard weightlifting advice, some strength training professionals also recommend a periodic deload. When I began strength training, I was 58 years-old and just recovering from CFS and adrenal fatigue so I had to be careful not to over do it. These are the steps I took to manage my recovery time. Initially, I had to choose a suitable program. Because of CFS, I knew I wouldn’t recover sufficiently from a high rep workout or from high-intensity interval training. Thankfully, I found the Starting Strength program. Starting Strength limits core lifts to 3 sets of 5 reps on a two week ABA BAB schedule. See here. At first, this worked perfectly for me. However, once the weights began to get heavy, I noticed I was experiencing some fatigue. After a little research, I found that most lifters over 50 years-old need at least 2 days between lifting sessions. Thus, I turned to a two week, AB AB schedule. This gave me plenty of recovery time. About a year ago, I reached a plateau on my bench press so I switched my entire routine to the Wendler 5-3-1 model. With this routine, I perform one major lift a day. This routine has worked the best for me in limiting fatigue (see below). The 5-3-1 routine also allows for a deload week. After three weeks of heavy lifting, I reduce the fourth week to lifting warm-up weights only. Experts believe that at least 8 hours of sleep is necessary to support proper recovery. It is during this time that your body repairs itself. The longer the period of sleep, the better the quality of recovery. The Recommended Dietary Allowance (RDA) for protein is 0.8 g/kg of body weight per day for the average adult. This could rise to 1.2 to 1.7 g/kg of body weight for strength and power athletes. Strength training includes the breakdown and synthesis of protein. In order for the body to repair damaged muscle and build more muscle, it needs extra protein. If protein is not available from dietary sources, the body will take them from its own protein stores. That may mean muscle loss. Also, some researchers argue that people over 50 may need to double the RDA of protein to prevent age-related muscle loss (sarcopenia). I personally limit my protein to 85 – 100 grams per day. There’s been some debate in the scientific community on optimal protein consumption. I’ll talk more about that in a future post. Conventional literature advises that if you want to get stronger, you should consume around 200 to 400 calories more than you expend. Strength training burns calories, but our bodies vitally need calories for energy and tissue repair. Besides protein, you can get these calories from carbohydrates or fats. But which macronutrient composition is best for muscle recovery and gains? I’m not sure I’m qualified to give advice on this topic so I’ll only tell you what I do. I personally eat a low carbohydrate healthy fat diet. I get 60% – 65% of my calories from fat, 20% – 25% from protein and the remaining from carbohydrates. This diet has allowed me to build muscle and cut fat at the same time. There is some controversy over low carb diets for athletes but some thrive on it. See this article on Lebron James. Omega-3 fatty acids are important for recovery. They support anabolic processes and assist in the management of post-exercise inflammation and pain. Remember, weightlifting produces an inflammatory reaction within your body. I try to eat salmon and sardines at least once a week. I also refrain from consuming vegetable oils so as to optimize my omega-6:omega-3 ratio. We’ve all heard the mantra, “Drink 8 glasses of water 8 times a day.” Surprisingly, there is no hard scientific evidence behind drinking 1.9 liters of water a day. It seems a good rule to follow. However, volumes may differ according to the intensity of training and location (hot climate). Yes, I try to drink a lot of water. Those who have been training for some time might have to go through a de-loading (training weight is reduced for a time) process to facilitate muscle recovery. As I mentioned, I deload once a month. I’m not suggesting people with CFS or adrenal fatigue should strength train. That’s up to you and your doctor. Fortunately, I was able to recover enough to do it. I do, however, recommend strength training for everybody, regardless of age, as long as their doctor says they’re healthy enough to do it. If you do train, remember that good recovery is not something to neglect. That’s it for this week. What do you have to say? I’d love to hear from you.